Ode to Spot: We need to talk about Data (and narrative). 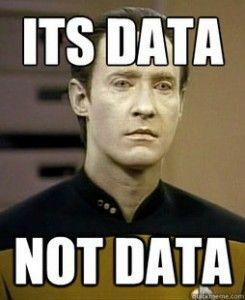 We need to talk about data. And narrative. In fact, data and narrative need to talk to each other, work some issues out, attend relationship counselling, try to recapture that “spark,” that “special something” that kept bringing them together, that has made them, at times, seem inseparable, but also led to some pretty fiery clashes. So, what’s the deal? What is the relationship between data and narrative? What role does narrative play in our use of data? What role does data play in our fashioning of narrative? How much of what we have to say about each is determined by pre-established notions we have about either one of these entities? Why did I instinctively opt, for example, while writing the previous two sentences, to refer to data as something that is “used” and narrative as something that is “fashioned”? And further still is it correct to refer to them as wholly distinct? Can we have a narrative that is bereft of data? And are data or datasets wholly bereft of narrative? Data and narrative are presented by some as being irreconcilable or antithetical. Lev Manovich presents them as “natural enemies” whereas Jesse Rosenthal, speaking in the context of the relationship between fictional narratives and data, observes how “the novel form itself is consistently adept at expressing the discomfort that data can produce: the uncertainty in the face of a central part of modern existence that seems to resist being brought forward into understanding.” Todd Presner argues that data and narrative exist in a proto-antagonistic relationship wherein narrative begat data, and data begat narrative. 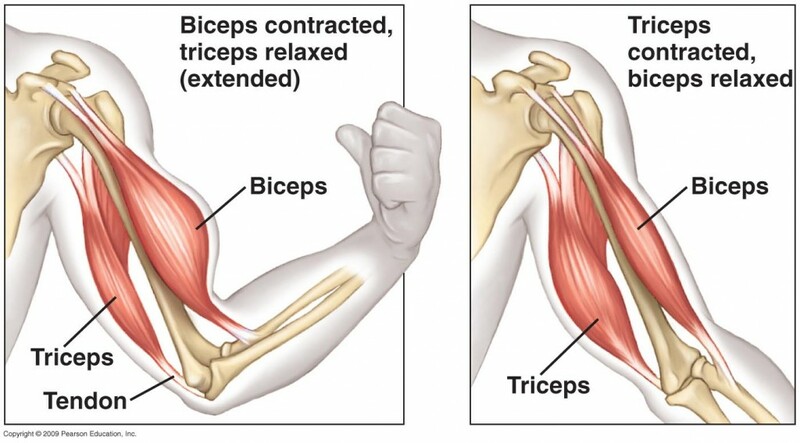 I use antagonistic here in the sense of musculature, with the relationship between narrative and data being analogous to why you’re not able to flex your biceps and your triceps at the same time, because for one to flex, the other must relax or straighten. because databases are not narratives […] they are formed from data (such as keywords) arranged in relational tables which can be queried, sorted, and viewed in relation to tables of other data. The relationships are foremost paradigmatic or associative relations […] since they involve rules that govern the selection or suitability of terms, rather than the syntagmatic, or combinatory elements, that give rise to narrative. Database queries are, by definition, algorithms to select data according to a set of parameters. The effect is to turn the narrative into data amenable to computational processing. Significantly, this process is exactly the opposite of what historians usually do, namely to create narratives from data by employing source material, evidence, and established facts into a narrative. In contrast to the Data-ode, and to the lyrical Shakespearian ode, would a narrative that is almost entirely bereft of data (and arguably also bereft of narrative, but let’s not go there) read something like a Trump rally speech? 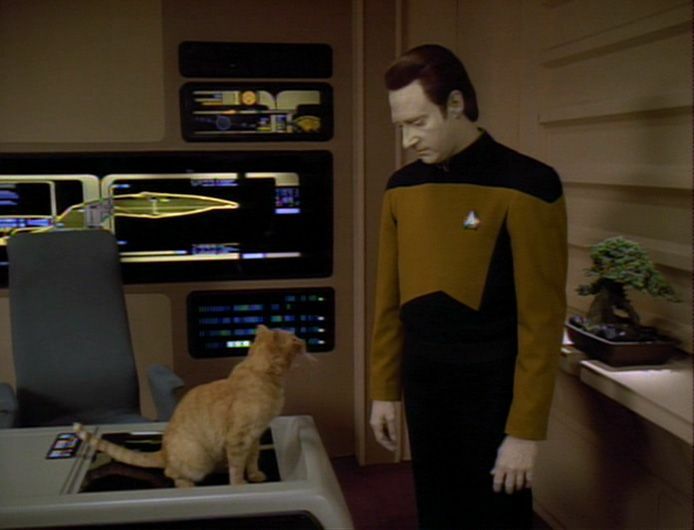 And now, by means of apology and for some brief respite, I offer you a meme of Data. But are these our only options? Are narrative and data really at odds in this way? Is there a way to reconcile narrative and the database? Perhaps it is time to stop thinking of data and narrative as being at odds with each other; perhaps it is necessary to break down this dyad and facilitate better integration? Traditionally, narrative driven criticism took the form of “retelling,” what Rosenthal calls an “artful,” or “opinionated reshaping” of the underlying evidence (aka the data) whereas more contemporaneous data driven criticism largely takes the form of visualisations that attempts to, as Rosenthal puts it, “let the data speak for itself, without mediation.” This turn to the visual is driven by a hermeneutic belief akin to Ellen Gruber Garvey’s assertion that “Data will out.” But this is something of a contradiction of terms considering elsewhere we are told (by Daniel Rosenberg) that data has a “pre-analytical, pre-factual status,” that data is an entity “that resists analysis,” but can also be “rhetorical,” that “False data is data nonetheless” and that “Data has no truth. Even today, when we speak about data, we make no assumptions about veracity.” Borgman elaborates, stating that “Data are neither truth nor reality. They may be facts, sources of evidence, or principles of an argument that are used to assert truth or reality.” That’s a lot of different data on data. Fictional narratives can be built on supposedly reputable data, this helps the reader to suspend their disbelief and “believe in” the fictions they encounter within the narrative. Supposedly non-fictional narratives, such as presidential speeches, can be based on tenuously obtained, fabricated data, or can make reference to data that is not proffered, and may not even exist, rather like dressing a corgi up in a suit and asking it for a political manifesto. What we’ve looked at today concerns the evolving discomfiture of our difficulties outlining the relationship between narrative and data. In the interplay between analogue and digital, different factions emerge regarding the relationship between data and narrative, with narrative and data variously presented as being anathematic, antagonistic, or symbiotic, with data presented as something one can be either “for” or “against” and with distinct preferences for one or the other (either narrative or data) being shown on a discipline specific, researcher specific, author specific level. At the same time, irrespective of which of these positions you adopt, it is clear that data and narrative are intricately linked and deeply necessary to each other. The question is then, how can one facilitate and elucidate the other best in a digital environment? Lev Manovich, The Language of New Media, 2002, 228. Jesse Rosenthal, “Introduction: ‘Narrative against Data,’” Genre 50, no. 1 (April 1, 2017): 2., doi:10.1215/00166928-3761312. Presner, in Fogu, Claudio, Kansteiner, Wulf, and Presner, Todd, Probing the Ethics of Holocaust Culture, History Unlimited (Cambridge: Harvard University Press, 2015), http://www.hup.harvard.edu/catalog.php?isbn=9780674970519. “Yet the narrative relies for its coherence on our unexamined belief that a preexisting series of events underlies it. While data depends on a sense of irreducibility, narrative relies on a fiction that it is a retelling of something more objective. […] The coherence of the novel form, then, depends on making us believe that there is something more fundamental than narrative.” Rosenthal, “Introduction,” 2–3. N. Katherine Hayles, “Narrative and Database: Natural Symbionts,” PMLA 122, no. 5 (2007): 1603. And of course it’s data-laden, it was composed by Data, a Soong-type android, so basically a walking computer, albeit a mega-advanced one. Ellen Gruber Garvey, “‘facts and FACTS:’ Abolitionists’ Database Innovations,” Gitelman, “Raw Data” Is an Oxymoron, 90. Rosenberg, “Data before the Fact,” in Gitelman, “Raw Data” is an Oxymoron, 18. Rosenberg, “Data before the Fact,” in ibid. Rosenberg, “Data before the Fact,” in ibid., 37. Christine L. Borgman, “Big Data, Little Data, No Data,” MIT Press, 17, accessed April 7, 2017, https://mitpress.mit.edu/big-data-little-data-no-data. Next postHas anyone ever analyzed big data classifications for their political or cultural implications? That’s the most interesting blog post I’ve read in a long time, and it is beautifully written too. Thank you. I stumbled on your page whilst looking for information about K-plexes and K-cores (Objective measures of cohesion in sub groups of networks) but this was a very rewarding diversion. I have worked in intelligence analysis for quite a few years, and struggle to reconcile narrative with data: Narrative is is required to make sense of the data (I think an argument could be made that placing the data into narrative represents contextualization / identification of implications) and it is definitely required in order to ‘sell’ intelligence product to decision makers – but on the other hand, narrative is where the cognitive biases creep in…. which of the multiple potential narratives that the data supports are you going to choose, and why? Excellent blog post, lots to think about! Thanks. Many thanks again for reaching out!